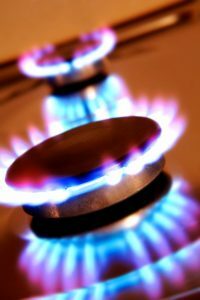 What to Do if You Suspect a Gas Leak | Professional Plumbing, Inc.
Natural gas leaks are hazardous and can result in fire, explosion, and asphyxiation. If you suspect you have a gas leak, you need to act fast. If you have a natural gas leak in your home, you may smell rotten eggs or hear a hissing or blowing smell. If the gas leak is outside of your home, you may notice dead or discolored vegetation in a specific area or dust blowing out of a hole in the ground. If you suspect a small leak, open all of your doors and windows and make sure the burners on your stove are off. Check to see if your pilot light is lit. Once you have done this, call your utility company and follow any instructions they give you. If the smell of gas is very strong, you may have a large leak. Do not attempt to shut off your appliances. Leave your house and avoid using any mechanical or electrical devices. If your car is in your garage or near your home, do not attempt to start it. Once everyone is safely outside, call your utility company. The technicians at Professional Plumbing, Inc. can perform gas line repair in Corona, CA, and the surrounding areas. Contact us today to request a quote. This entry was posted in Uncategorized on December 7, 2018 by profplumb-inc.